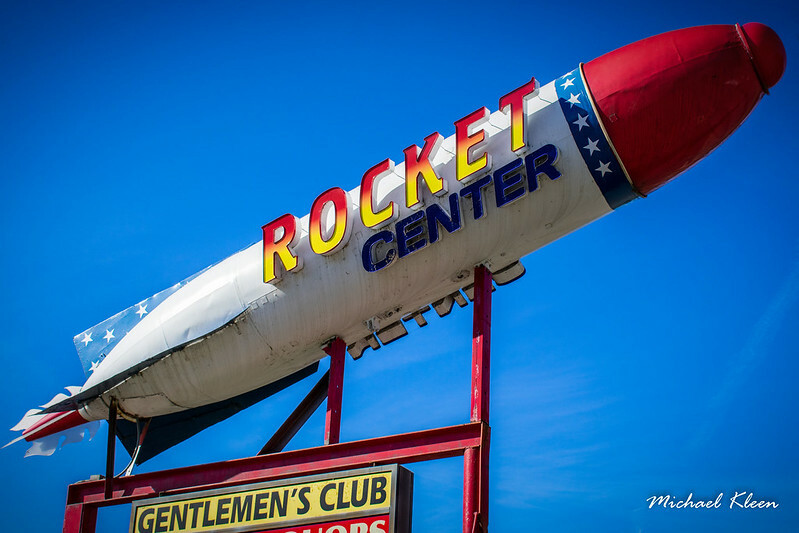 The Rocket Center is a strip mall at 584 Court Street (U.S. Route 11), east of Binghamton, New York. This sign is a great example of Populuxe/Raygun Gothic. Today, this area is something like a vice district, with three strip clubs and a sleazy motel in close proximity.